Thomas James North is one of the men whose military record was found by Trevor Lewis and Sheila Marriott, to whom we are grateful. He first enlisted in 1901, and remained in the army almost continuously until he died of wounds in March 1918. He was buried at Lapugnoy Military Cemetery, Pas de Calais, and is remembered on the memorial plaque at All Saints, Barrowby. Thomas James North was born in 1881 and baptised on the 17th March that year at Bottesford, son of James North and Sara Ann (nee Hawkins). In the census of that year, James North was a 32 year old agricultural labourer from Muston, living on Bottesford High Street with his 32 year old wife Sarah who came from Elston, and children William (6), Frederick H. (3), George (2) and baby Thomas. In the census of 1891, James North is at Sedgebrook Road, Barrowby, with Rachel, who must have been his second wife, and children George (12) and Thomas J. (10). Thomas was also recorded in the 1901 census, as a 19 year old, single, gunner from Bottesford living at Throxenby, near Scarborough. Thomas James North was married in 1917 in Grantham to Edith Ellen Paice, probably while he was in England ostensibly on sick leave in July and August. Thomas James North first enlisted at Grantham on the 4th March 1901, when he was a 20 year old farm labourer from Bottesford. He became 7394 No.2 Depot Company W.D. Royal Artillery. He was based at Scarborough, Devonport and Shoeburyness before being posted to India, where he was at Jallalabad where on the 24th February1904 he went down with scarlet fever. He then had repeated bouts of sickness including venereal disease at Jallalabad and Karachi, before being declared unfit to complete his service to 12 years on the 12th August 1908. However, he was able to stay in the army, and was in Aden in 1909 and 1910. He may have returned to England in 1913 on completing his 12 years of service, and remained a reservist. He re-enlisted at Newhaven on the 10th September 1914, stating that he was a postman who had previously served in the RGA and had become a reservist after terminating his original engagement. 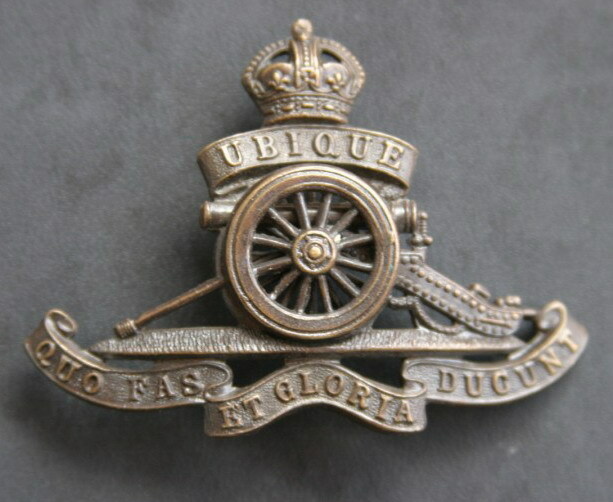 He was posted to the 20th Siege Battery on the 15th January 1915 as a Gunner, and promoted to Corporal on the 15th September 1915. The records indicate that he was promoted to Bombardier on the 23rd February 1917, but this is not mentioned in other records and it may be that the promotion was never confirmed. On the 3rd July 1917 he became sick and went into hospital, but re-joined his battery on the 26th August. On the 7th March 1918, he was wounded in the field and taken to No.18 Casualty Clearing Station where sadly he died of his wounds the next day, March 8th. His injury was a shell wound which led to a ‘perforated abdomen’. He was awarded posthumously the 1914-15 Star, the Victory Medal and the British War Medal. He had completed some 16 years military service. Military records show that, after his death, his parents James and Ann North lived at Sedgebrook, but it is unclear where Edith his wife lived at this time. Her communications were sent c/o Mrs Tatchell, Casthorpe, Barrowby. She was awarded a pension of 15/- per week from the 16th September 1918. Thomas also had brothers William North, of 13 Broad Oak St, Nottingham, and George North, of 16 Shakespeare St, Nottingham, and a sister Mary Jane Bee (nee North), who had migrated to New South Wales where she lived in a town called Manilla. An excellent biographical account is provided by Lincolnshire County Council records service website Lincstothepast.